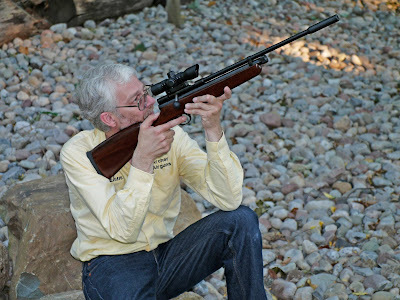 If the Stoeger X10 and X20 air rifles have a failing, it's that the two stage trigger is somewhat heavy and the second stage is not perfectly defined when firing. 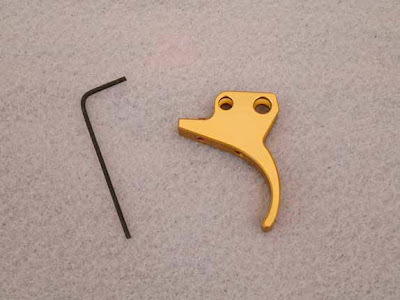 So we're pleased to make this replacement trigger available as the first Archer Airguns parts kit for Stoeger airguns. This beautiful, CNC-machined, two-stage trigger replaces the factory trigger on Stoeger X10 and X20 air rifles. 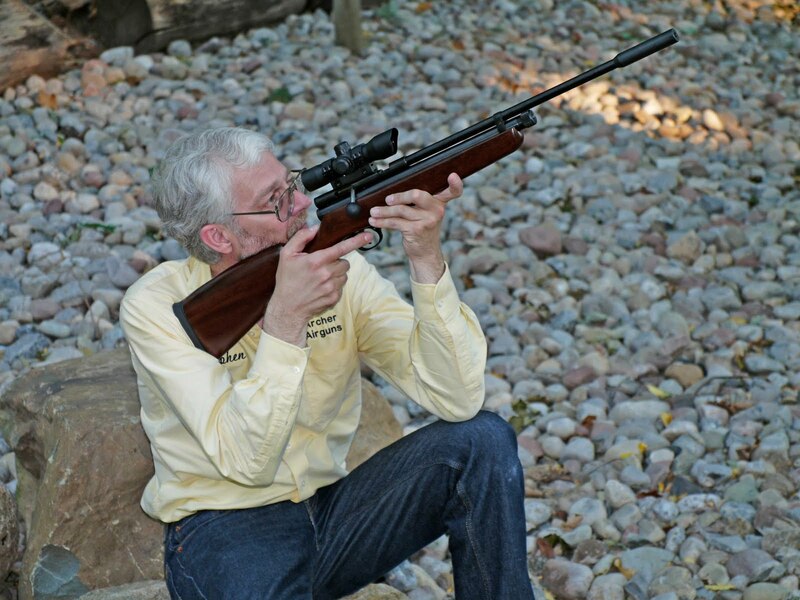 It provides a much reduced pull weight - typically down from about 6lbs to 4lbs or less and cleaner pull, greatly improving the shootability and accuracy of these air rifles. This two-stage trigger kit allows the shooter's finger to more reliably detect the second stage so that he (or she) does not inadvertently pull through the second stage and release the shot before being ready. This improved trigger is available as a kit with full instructions, or fitted to your new Stoeger X10 or X20 by Archer Airguns if you wish. It's not a factory part, so please read our web page for details on warranty implications. Look for Stoeger air rifle parts kits to be available from Archer Airguns soon. These will be original, factory parts that will help to keep Stoeger X5, X10, X20 and X50 air rifles in perfect condition. We received a very interesting email from a potential customer who asked "The FPS data on your site is different than that of Shanghai Air Gun Factory's, the producer of the gun, by 50 FPS... Why? Also, I'm having trouble finding any reports on your products "power"... Do you know if it's capable of taking out small pests, such as squirrels and birds?" As with all airguns, muzzle velocity will vary with pellet weight and (to some extent) shape. Heavy, flat-fronted wadcutter pellets shoot slower than lighter, pointed pellets. And, all CO2 guns have a muzzle velocity that's dependent on temperature (higher temperature gives higher muzzle velocity at the rate of 2 fps per degree F). I show the performance of the QB78 family air rifles as being 500fps at 65 degrees F for .22 caliber and 600 fps at 65 degrees F for .177 caliber. These are average muzzle velocity figures that will be achieved in our "Gold Service" testing with heavy wadcutter pellets - and that therefore I can prove to a customer. Let's take a .22 caliber gun as an example. At 65 degrees F and 500fps with 13.86 grain wadcutter pellets, the muzzle energy is about 7.7 ft/lbs, which is marginal for humanely killing small pests without very accurate shooting. Now, at 85 degrees F, the average muzzle velocity will be 540fps for .22 caliber using the same wadcutter pellets. This is due to the temperature effect already described. Now the muzzle energy is about 9 ft/lbs, a significant improvement for hunting. If you choose to add the Archer Airguns "XP" Tune Kit, the muzzle velocity - still at 85 degrees F and with the same pellets - will be about 640fps, meaning 12.6 ft/lbs of muzzle energy. This is very suitable for hunting small critters and birds. The tune kit increases the muzzle velocity by making the flow of gas inside the gun much more free. Accuracy… It’s all in Your Head! It’s been said that only accurate guns are interesting, and airgunners are perhaps more spoiled to and obsessed with accuracy than most other shooters. Truth be told, a huge majority of good air rifles and air pistols will out-shoot an even huger majority of hands holding them. Nevertheless, how we obsess! Of course “accurate” is a relative term; at least as regards shooting. Therein lies the conundrum… how accurate is “accurate”? Thankfully yet maddeningly, it’s all in the eye (and head) of the beholder. Worse yet, it also depends on what you’re shooting at! Most airgunners would find the accuracy of big-bore double rifles downright laughable; yet those are the preferred tools-of-the-trade of many professional hunters. One might think they would want all possible accuracy when defending life and limb, however gilt-edged accuracy rates way down the list of priorities in such “hairy” shooting situations. Minute-of-huge, murderous-beast accuracy serves their purposes quite well. On the flip-side, center-fire bench-rest competitors define the highest level of shooting accuracy, measured in tenths of minute-of-angle. That degree of accuracy puts even the most accurate air rifles to shame. Testing hundreds of air rifles and air pistols gives me wide perspective on airgun accuracy, but in no way makes me an authority on what the reader should consider “accurate”. That I strive for half-inch groups at fifty yards with field-target pistols makes it somewhat ironic to consider one-inch groups at ten feet satisfying; however, with an airsoft pistol, that is the case. Such “accuracy” allows excellent defensive pistol cross-training; not to mention effective (and exciting) scorpion-control at the spitting distances involved! Just as the term “challenge” is relative to the individual and circumstances involved, so is the term “accurate” a matter of one’s own perspective and criteria. Next post, perhaps we’ll better quantify some airgun accuracy performance and potentials.